Unfortunately there's more bad news on the way for the retail chain Blockbuster. They're already in administration and being tended to by Deloitte, but the decision has been taken to close another 164 Blockbuster stores, because they were not deemed to be profitable enough after a review of a months worth of trading. The decision was taken because they want all stores to be profitable when the company will be offered for resale! Apple has decided to reduce the price on the cheapest version of the 13-inch MacBook Pro with "retina" display. The laptop will now be $200 cheaper and will now start at $1,499. LG have confirmed the existence of their 5.5 inch LG Optimus G Pro, the phone was shown off in Korea today. The device comes with a curved full HD display which features '2.5D viewing' which hopefully adds some extra depth to those games and movies. Other than hat there's a 1.7 GHz quad-core processor, 2GB of RAM, 32GB of on board storage, as well as a 13 mega-pixel rear and 2 mega-pixel front cameras and LTE all of which is powered by a 3,140 mAh battery. We're not sure if this is the device which will land in the USA and Europe, it seems quite likely. You might have heard of music streaming service Slacker. Well today they've unleashed updates for all of their apps, yep that's iOS, Android, Blackberry and Windows Phone apps all simultaneously updated! Unfortunately the Windows Phone app is yet to appear in the store, but hopefully it'll pop up soon! If you use the app then the update is well worth a little poke around! Three have announced the Jelly Bean update for the HTC One S will be hitting your device now! The tweet with the details is embedded below! 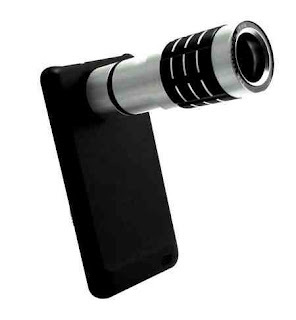 And finally, VTEC have announced a 12x zoom telephoto lens for the Samsung Galaxy S3. The whole thing looks pretty crazy, as you can see in the picture embedded below. The lens conveniently has it's own “mini tripod” for added stability. As well as that VTEC have showed off a new Fisheye Lens and a Wide Angle/Macro Lens. All of these can be found on VTEC's site here if you're interested.